This post is all about upcycling! 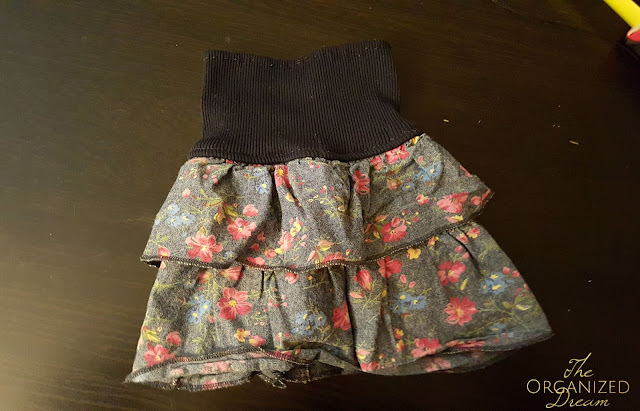 Have a bunch of clothes your daughter doesn't fit into anymore but they are too cute to part with? 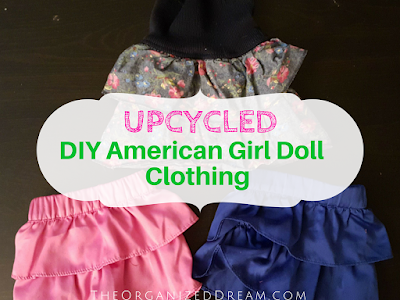 I have two great little tutorials to share that will show how to turn your child's old clothes into outfits for her dolls. 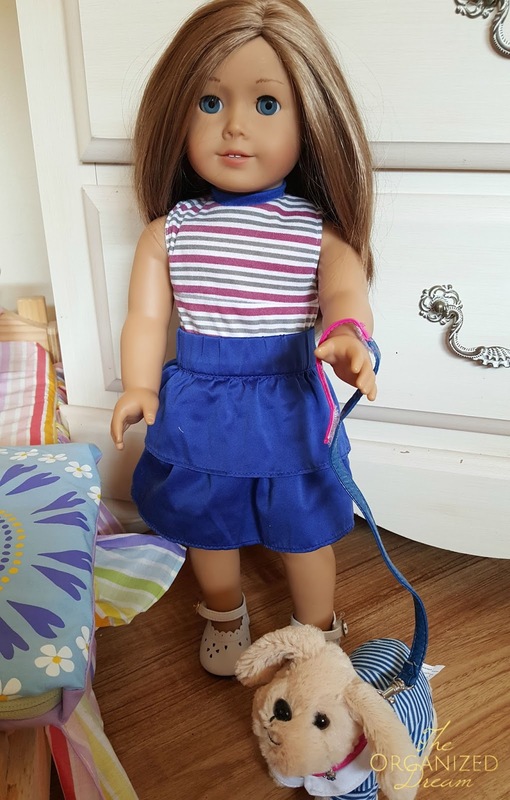 In this case, I've created a couple of different skirts and a dress from 3 oh-so-adorable ruffle skirts that I loved for her American Girl doll. 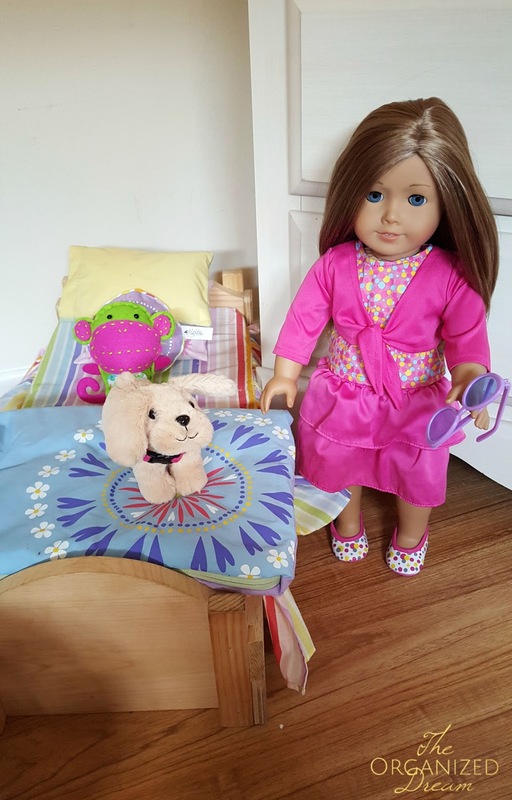 This can also be done for any other doll your daughter loves. Interested in learning more? Let's begin! First, let's start on the skirt tutorial. Then, we'll do the dress. Start with the skirt you want to use and cut along the original seam. 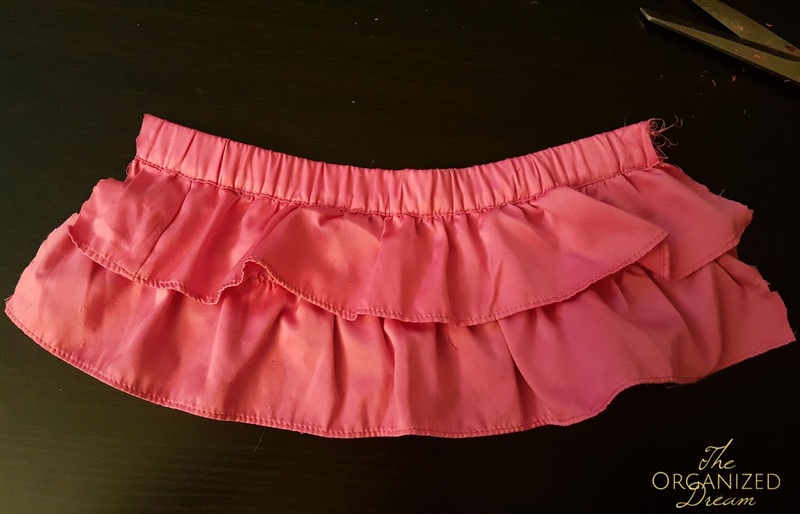 Once seam is cut, measure about 11.5"-12" at the waistline and cut. 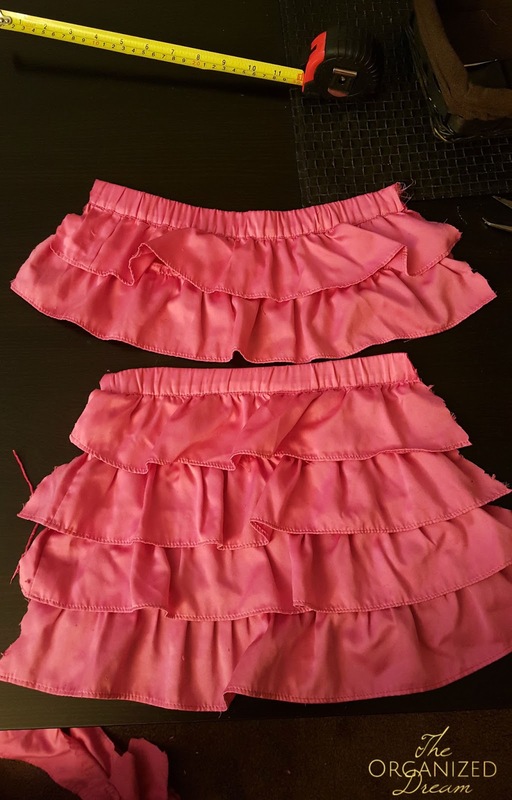 Below shows that I've removed 2 of the tiers of ruffles so that the skirt will fall at the knee of the doll. 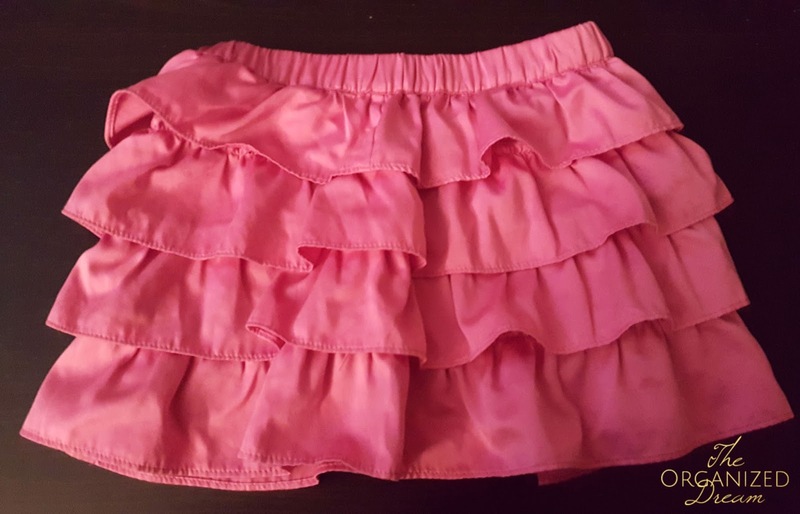 Not using a ruffled skirt? 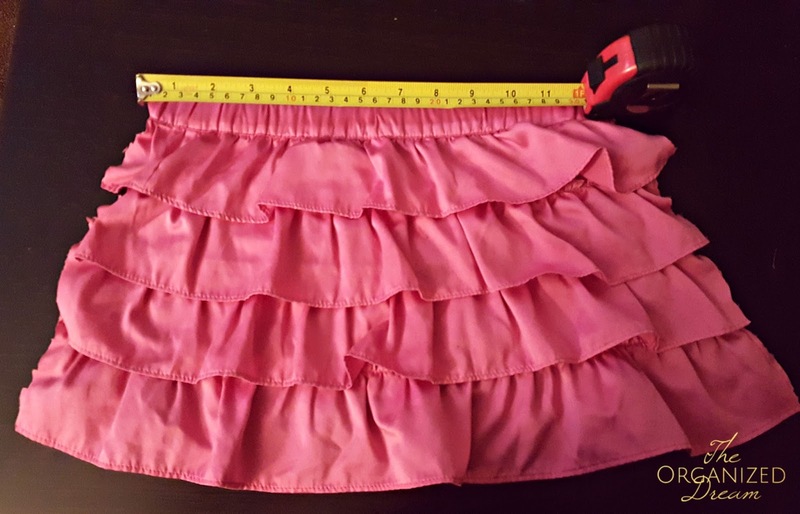 Measure roughly 6 1/2" from the top of the waist and down. The half inch will allow for a hem. 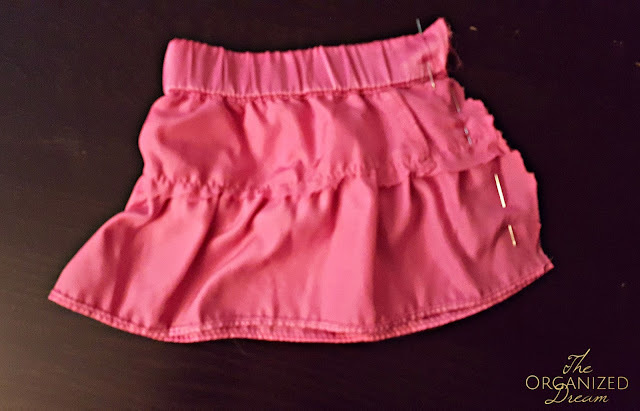 Pin the skirt together and sew. My daughter had the same skirt in two different colors and now her doll does. I simply repeated the steps above. 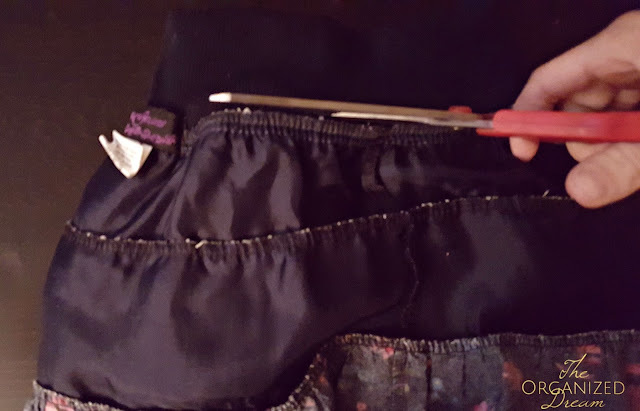 Start by cutting along the original seam. Measure 11 1/2"-12" at the waistline and cut. 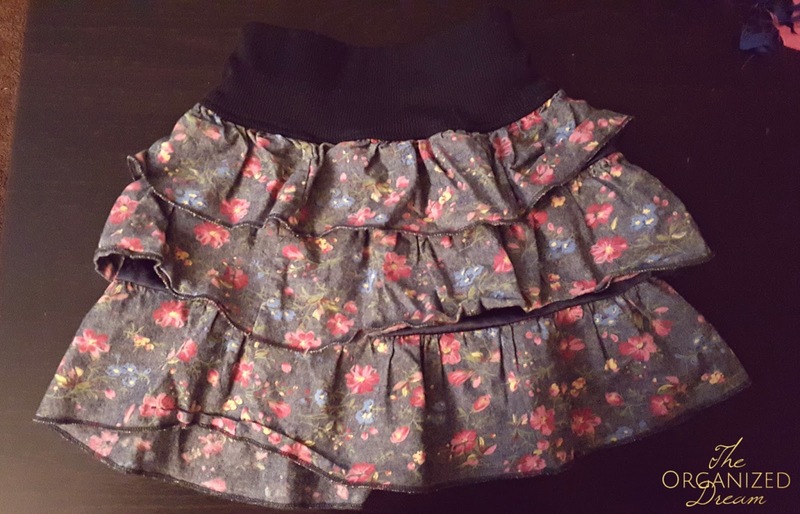 This skirt had a thick elastic in the waist so I cut the fabric and removed it. 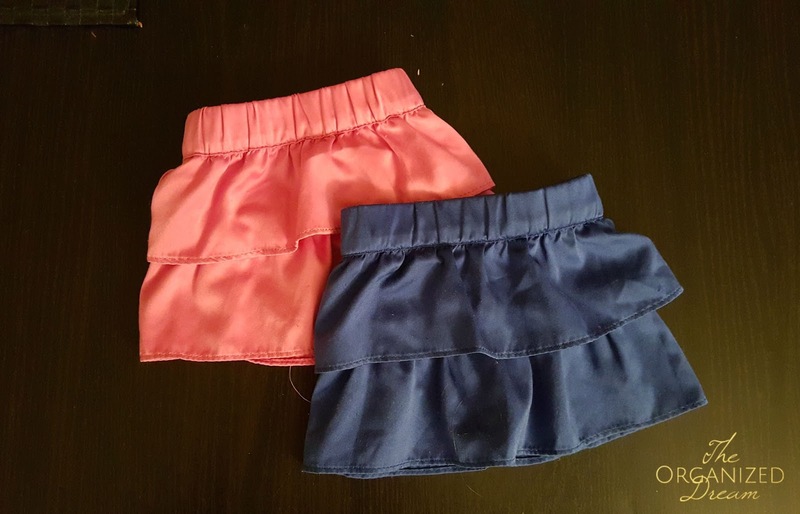 If you're using a skirt that has a thinner elastic waistband, then you can skip this step and move on to step 4. 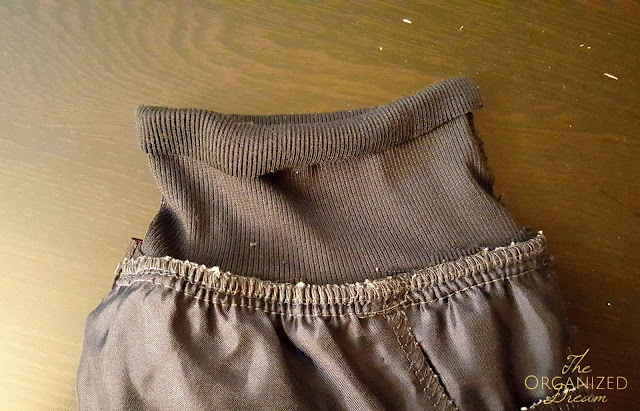 After removing the elastic, I measured about 4 1/2" of fabric from the waist up and trimmed the extra. Pin and sew the edge closed all the way up. 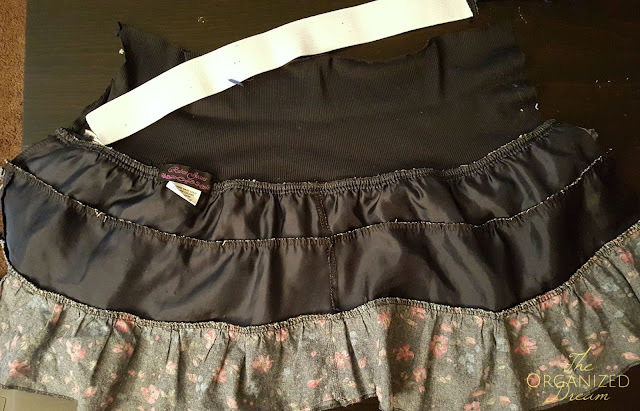 Then, while the dress is inside out, fold over about a half inch of fabric to create a hem at the bust line. Turn right-side out and you have your dress! So amazing!! Looks easy enough! 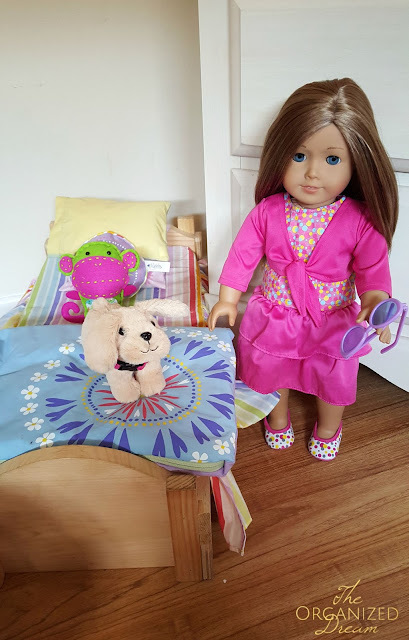 I'm 54 and I'd love to have an AG doll! EnJOYed your ideas. 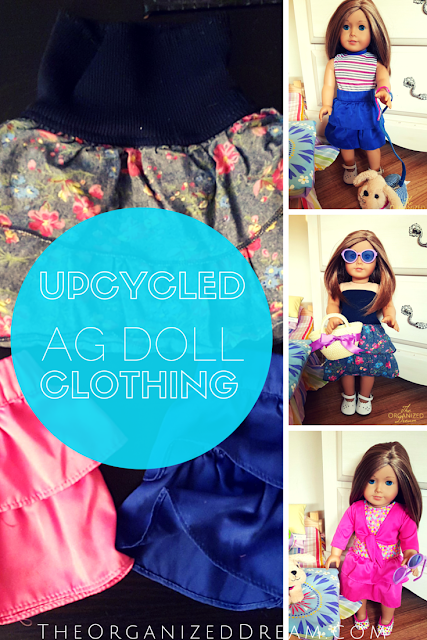 I like to upcycle clothes for AG as well. 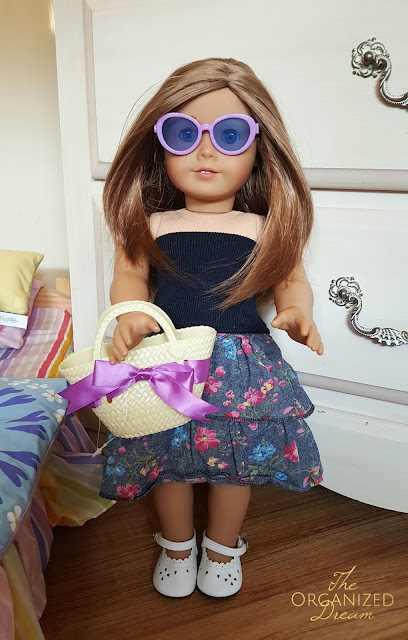 You might want to check out my ideas in my sewing section on my blog?